ABC Family has landed the TV rights to The Hunger Games, as well as the network premiere rights to the sequel Catching Fire. 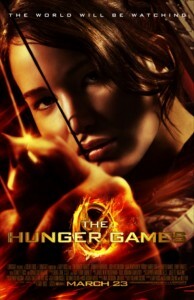 The Hunger Games had a record-setting opening weekend, netting $155 million. This tremendous opening weekend reinforces what we have already learned: A powerful heroine, themes of romance and iconic characters will keenly resonate with our Millennial audience. This franchise will continue to enhance our network for years to come. The second film in the franchise will hit theaters November 22, 2013, and ABC Family will begin airing the films on the network in 2014. The Hunger Games was adapted from Suzanne Collins’ wildly popular trilogy of young adult novels.